Five years before she shocked the world to become UFC champion, Miesha Tate overcame equally enormous odds – and a torn ACL – to win her first world title. Tate details her incredible journey from high school wrestler to Strikeforce MMA champion. 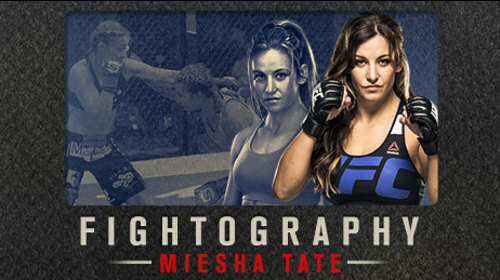 Fightography: Miesha Tate Dec 4, 2015 (13:17) When Miesha Tate attended her first mixed martial arts event in 2007, she didn’t expected to be entertained, much less inspired. Yet just three weeks later she was competing inside a cage, her first step on a long and winding road to becoming one of the faces of the emerging women’s MMA scene. In this Fightography, Tate details the sacrifices, the victories and mistakes she made on her journey from high school wrestling to the Strikeforce bantamweight championship of the world. 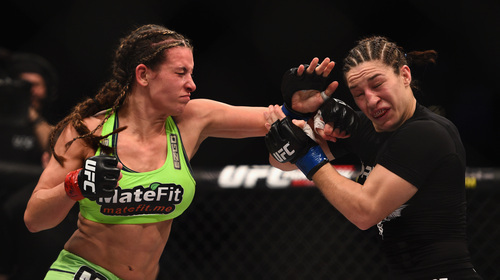 Miesha Tate vs Sara McMann UFC 183 Jan 31, 2015 (26:10) Both Miesha Tate and Sara McMann had fought Ronda Rousey for the UFC bantamweight belt and came up short. 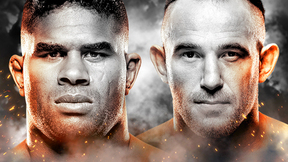 At UFC 183, the former title contenders faced off in their quest to move right back to the top. 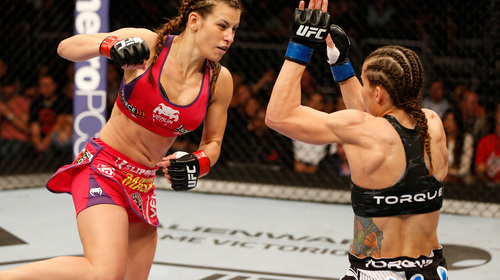 Miesha Tate vs. Liz Carmouche UFC Fight Night Apr 19, 2014 (23:04) Miesha Tate was looking to rebound and earn herself another title shot against Ronda Rousey, but first she faced a tough challenger in Liz Carmouche, who was also looking to climb the bantamweight ranks. 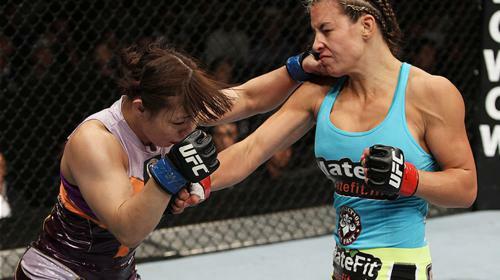 Miesha Tate vs. Rin Nakai UFC Fight Night Sep 20, 2014 (25:44) Unbeaten as a professional, Japanese star Rin Nakai faced the biggest challenge of her MMA career as she was set to battle former Strikeforce champion Miesha Tate. Miesha Tate vs. Marloes Coenen Strikeforce: Fedor vs. Henderson Jul 30, 2011 (30:07) Making her 2nd title defense, Strikeforce women’s bantamweight champion Marloes Coenen, with her 19-4 pro record, which included 14 submissions wins, tangled with Strikeforce women’s welterweight tournament winner Miesha “Takedown” Tate, who possessed a solid 11-2 pro record. Miesha Tate vs Elaina Maxwell Strikeforce: Melendez vs. Thomson Jun 27, 2008 (15:09) Both looking to go above .500 with a win, high school wrestling standout Miesha “Cupcake” Tate was prepared to make her Strikeforce debut as a 1-1 pro against the multiple-time San Shou kickboxing champion Elaina Maxwell, who owned a 2-2 pro MMA record.